In the early stages of digital photography, most film photography enthusiasts thought that digital images could not come close to matching the quality of film. Today, the digital cameras are not only in par with film cameras but they are much better in many ways . One of the advantages of digital photography is be able to edit images by using softwares like Photoshop . I have been learning photoshop since I was 15 and I learn something new every other day . It gives me ability to add that something little extra to my images when I add my images on photoshop. There are many terms in digital photography that make people confused and I will try to explain that in here. Adjusting colors, contrast, white balance, sharpness, removing elements or visible flaws on skin or materials. I adjust almost all my images , do color correction and make them ready for printing. All my wedding packages come with adjusted high resolution wedding images . Used as an art form or for commercial use to create more sleek and interesting creative images for advertisements. 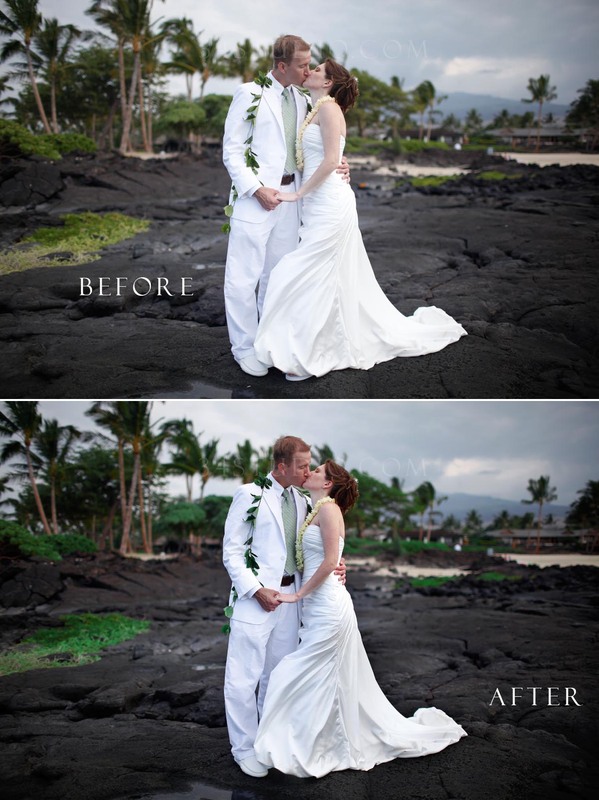 Most wedding photographers provide creative retouching in many different levels. 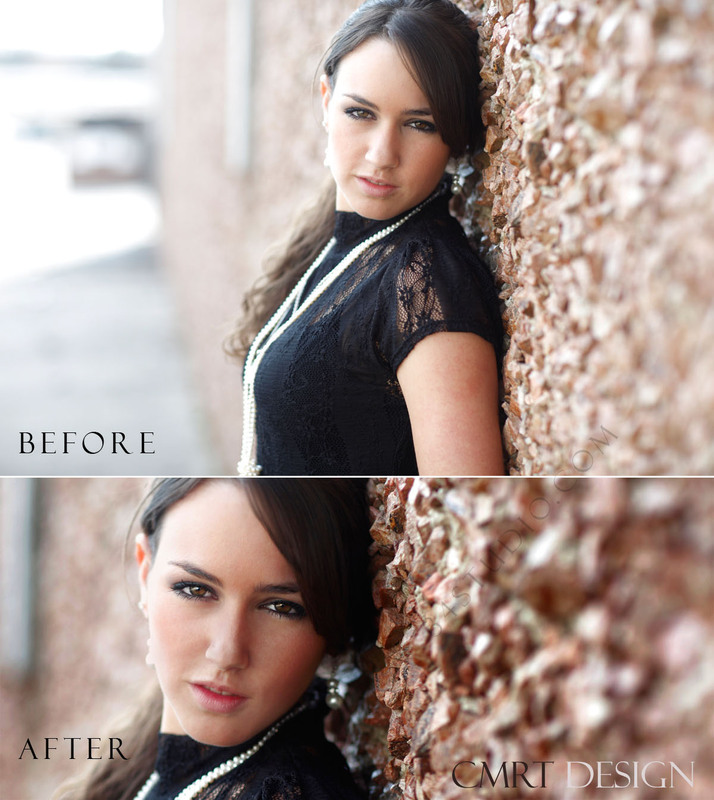 Creative retouching could be manipulation for fashion, beauty or advertising photography or wedding photography. 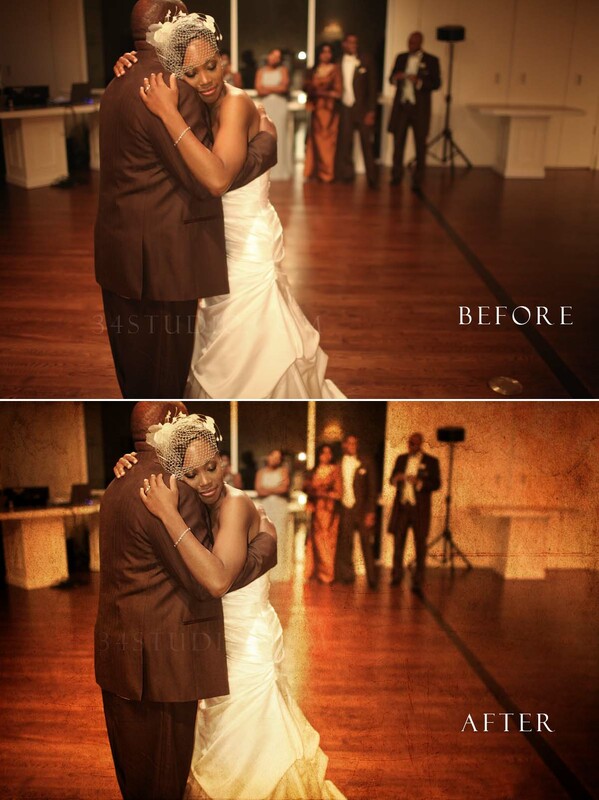 I do creative retouching on all my slideshow images and wedding albums. Example of retouching , adjusting , and cropping below. It is very difficult to get everything perfectly exposed while shooting a scenery with a couple. Especially if you have only 10 minutes to get the perfect image . You might be able to get the sky perfectly exposed but the wedding dress might be over exposed . This image needed just the minor color correction, sharpening and adjusting . Adding texture to digital wedding images gives that rustic old look . Being able to work with texture in Photoshop gives you endless possibilities for your design. There are a variety of different approaches when it comes to adding texture, some are simple and others are more advanced . It is very important to add right amount of texture , not too much not too little !